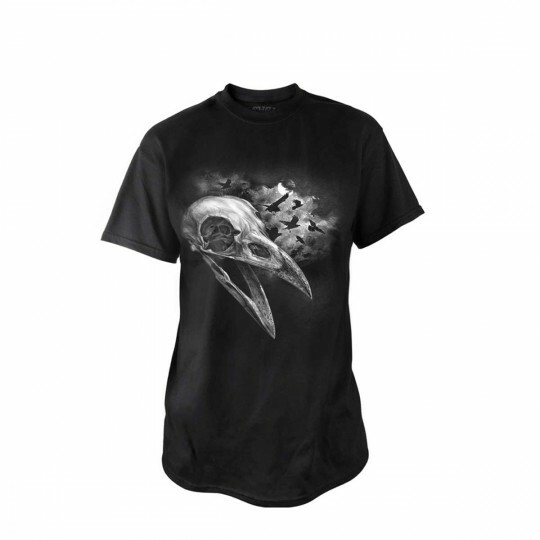 BT847 - Corvinculus T-Shirt in Tops, Blouses & Shirts is made for Women and Men and comes in Black and is made of Pewter material. It is marked as TShirts and weighs about 1.00 lb. Legendary messenger of the gods and arbiter of mortal fate, be it good or ill. A harbinger of doom and destruction on the battlefields of yore, and an ambassador between this world and the next. Speak not your words of betrayal and heresy in his earshot, lest the gods strike you down.